Ella Gardiner pulling up for a 3-pointer and draining it, adding to an already big game. January 15 was a big night in SCHS Girls’ Basketball history. Junior Ella Gardiner hit her mark of 1,000 points against Tesoro High School at home. Gardner is one of only a few to break this record, but it hasn’t been broken for 10 years. The New Zealand native is very tough, skilled, tall (6’1″), and has great basketball IQ. No matter where she is on the court, Gardiner’s teammates, especially freshman Jolie Johnson, and juniors Kylie Krebs and Esther Mafouta are always looking to get the ball into her down in the post and even outside for 3-pointers. 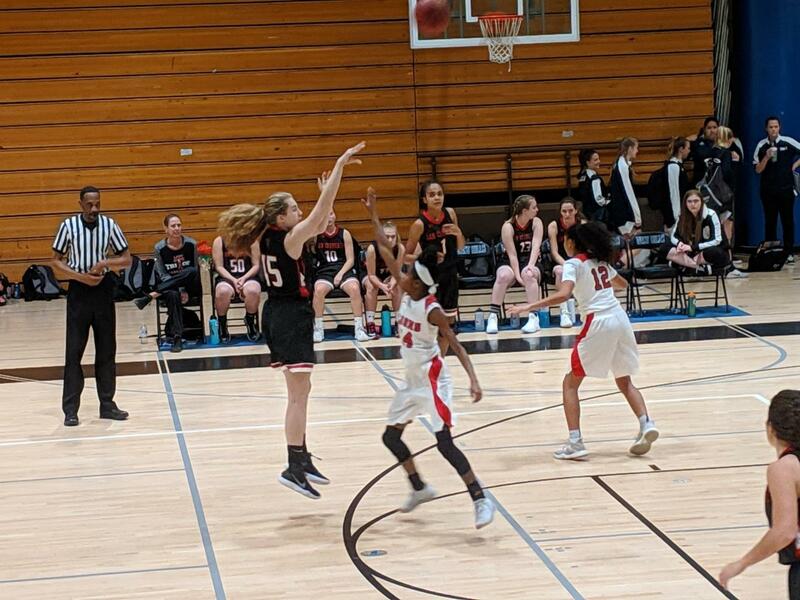 Making the varsity team her freshman year, Gardiner has also broken the single game rebounding record with 28 rebounds against University on November 26. I caught up with Gardiner and asked her a few questions about her basketball career, including how it felt to hit 1000 career points. What inspired you to play basketball? How did it feel when you hit the 1000 points? How were you able to accomplish this achievement? Do you hope to play in college, which ones? You can catch Gardiner and the Tritons next in action for senior night on Thursday, January 31 at home at 7:00 pm. The team is currently 17-10 overall and 5-2 in league play.